Search for the best flight prices from Manchester to Los Angeles. Compare prices, book today and save money with Manchester Airport. This sprawling Californian metropolis is known for embracing creative souls and dreamers alike. Los Angeles certainly lives up to its direct translation of 'The City of Angels'. Variation abounds for a visitor to the golden beach-fringed, celebrity spotting haven. Visitors seeking arts and entertainment are bound to be enthralled by the museums, theatres and music venues catering to the high population of creative industry-types, lending this magical city its glittering allure. There are an abundance of hotel choices in Los Angeles ranging from airport hotels through to grand, luxurious establishments. The DoubleTree by Hilton Hotel Los Angeles Downtown offers stunning views of the city from the rooftop garden and easy access to area attractions. 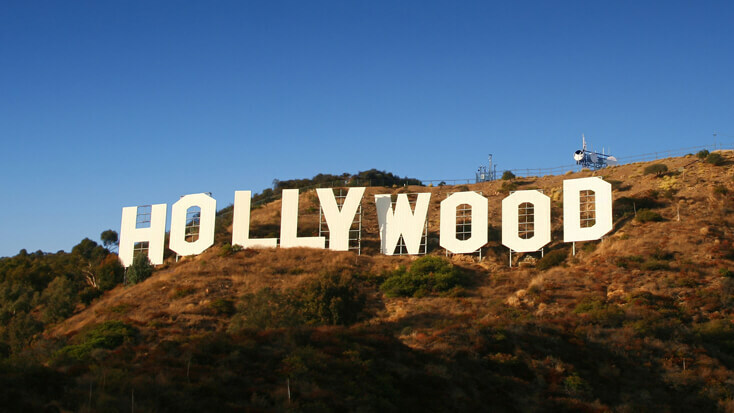 Receive movie star treatment at Los Angeles Marriott Burbank Airport . Designed and built in the 1920's by famed architects Walker & Eisen, the boutique Hotel Normandie has seen over eight decades of personalities and has established itself as an icon in Los Angeles. From quaint boutiques to expansive shopping malls, retail therapy is never far from reach in Los Angeles. Melrose Avenue is a funky place to shop with cool clothes and shoes a-plenty. Rodeo Drive has all the famous stores and you may even spot a celebrity or two whilst browsing for those must-have accessories. Or take a stroll to the Robertson Boulevard which includes the famous Ivy restaurant and world known boutiques such as Kitson and Madison. Los Angeles is known for its bustling film industry and year-round sunshine. See stars on the Hollywood Walk of Fame, or admire a different kind of star at the Griffith Observatory. From the sands of Venice Beach to the hills of East LA, this city has tons of events to choose from.